The 1963 Aston Martin DB5 is one of our favorite classic cars of all time. 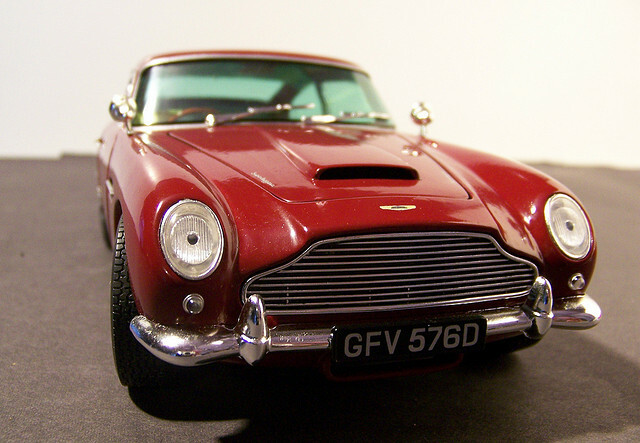 Famous for tis appearances in the James Bond films of the time, the DB series of the auto was named to honor Sir David Brown who was head of the auto manufacturer from 1947 through 1972. The DB5 was produced with an all-aluminum, inline-six engine that is 4.0 liter in size and included three SU carburetors. The engine is rated at 282 horsepower, 288 lb-ft of torque, and the auto could reach speeds of 145 MPH when new. On the first DB5 models, a four-speed manual transmission was standard, and it would later be upgraded to a ZF five-speed. The car can go from zero to 60 MPH in eight seconds, and the auto remains extremely popular amongst car collectors today.